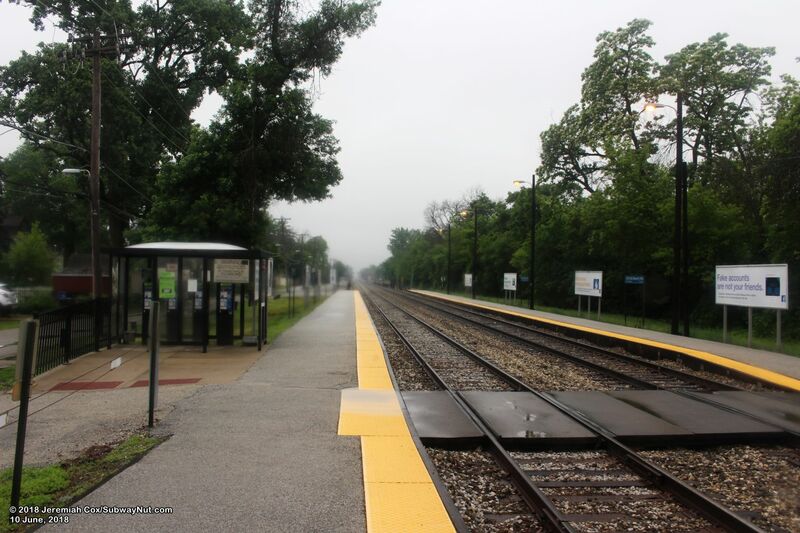 107th Street-Beverly Hills is the southernmost of the 5 stations serving the City of Chicago neighborhood Beverly Hills where the Rock Island Line's suburban branch stops every 4 blocks. 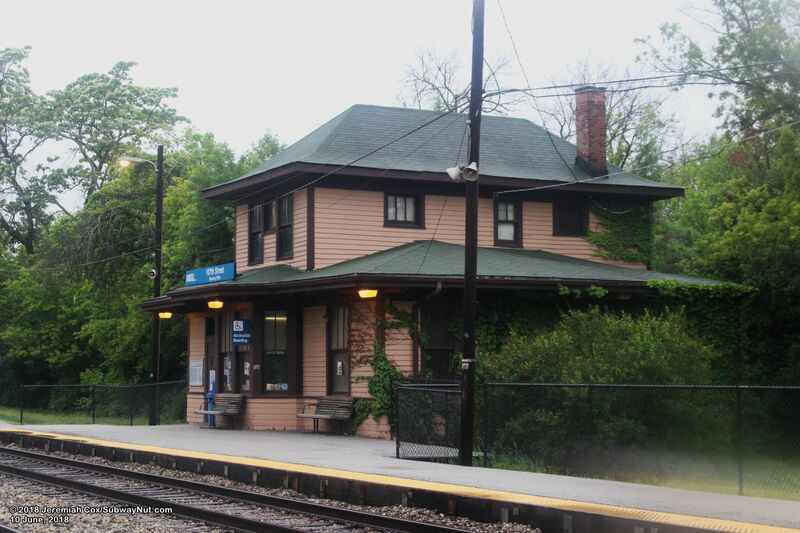 The station has a historic and original station house with pink and green trim. 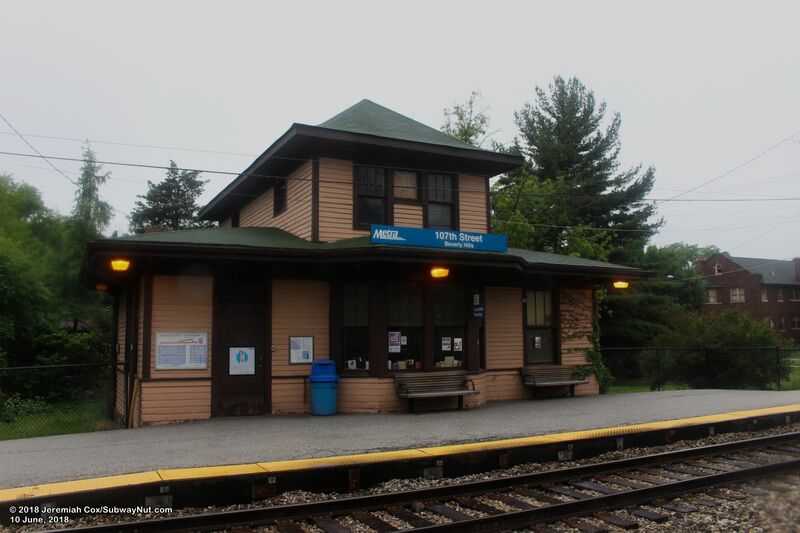 Inside is a waiting area but no ticket agent. 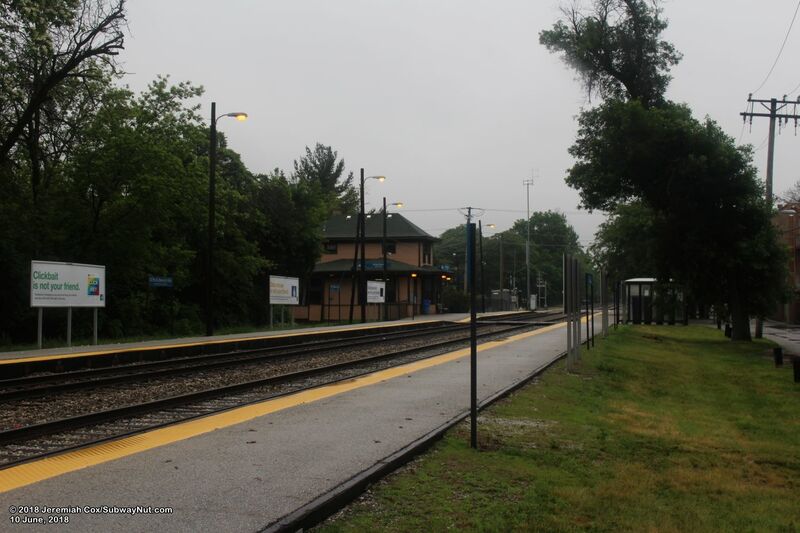 The station has two side platforms that begin at the grade-crossing of 107th Street and run south. 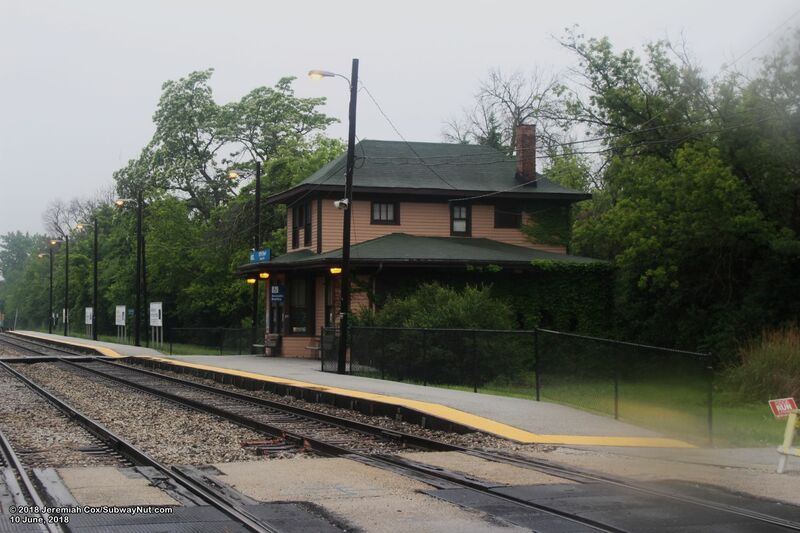 The depot is located along the Joliet-bound platform, just south of 107th Street and there is a secondary wooden pedestrian crossing near the depot. 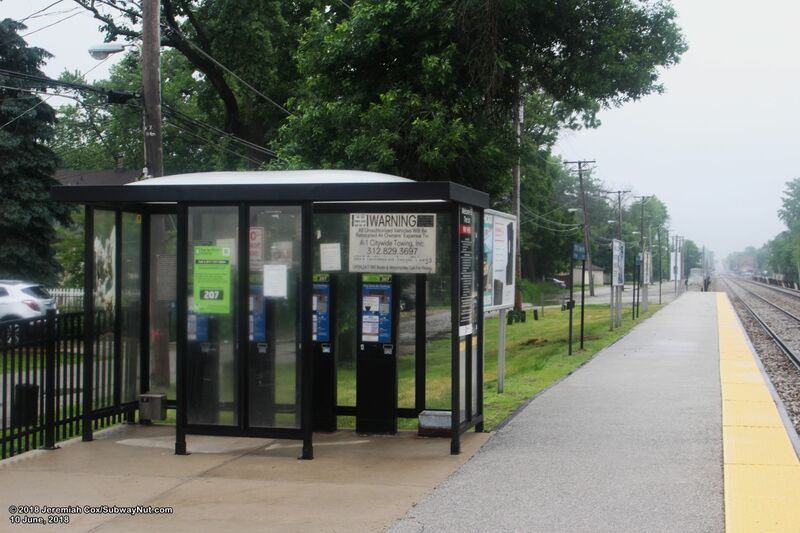 Chicago-bound passengers have just a single bus shelter that also shelters the parking pay stations, for the station's approximately 200 parking spaces. 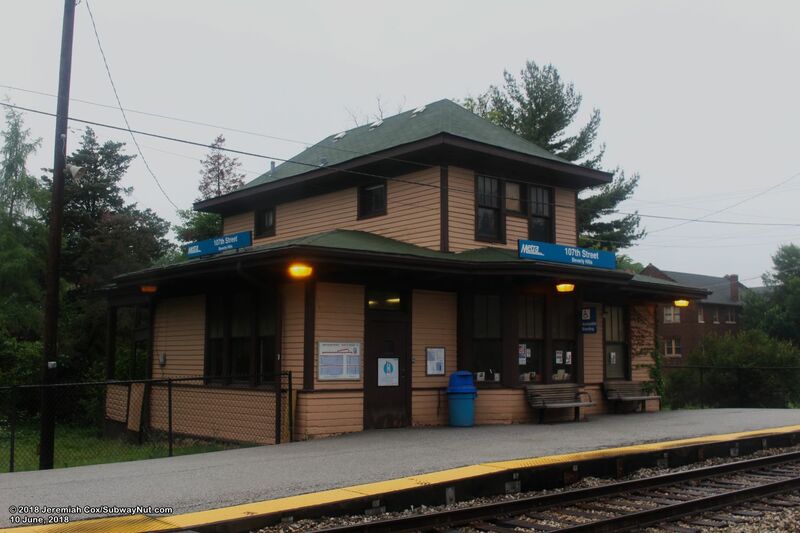 The parking spaces closest to the platforms are street parking along Hale Avenue parallel to the Chicago-bound platform. 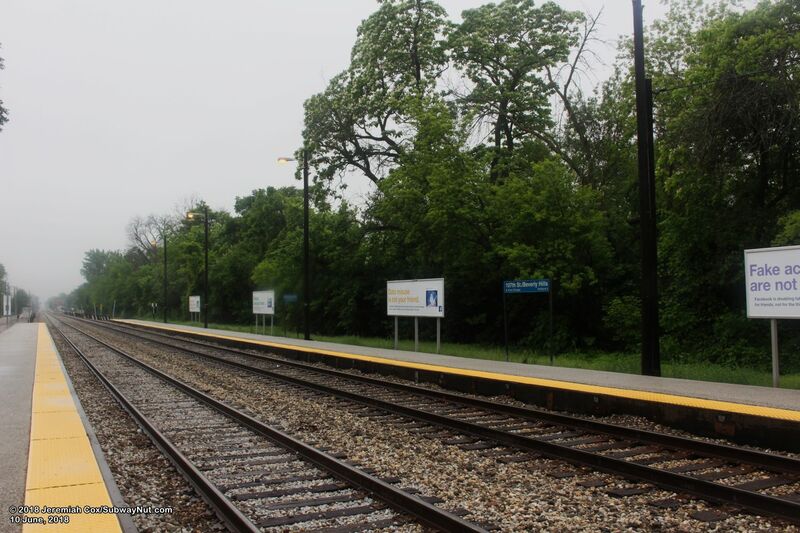 A second narrow alley-like parking area begins at the southern end of the Blue Island-bound platform and is only accessible from the next grade-crossing south at 109th Street. 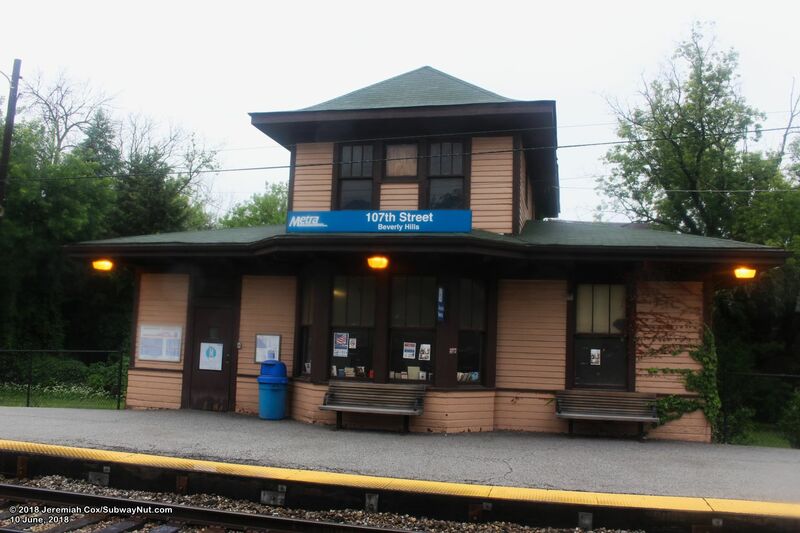 Parking along alleys and Hale Avenue on each side of the tracks continues north to 103rd Street fairly continuously and south to 111th Street/Morgan Park, with the actual station that some of these paid parking spaces between stations are actually designated is unclear.